VJMediaMixology is a carefully curated experience that organically connects brands with bloggers, journalists, tastemakers and influencers from all walks of media in one amazing interactive experience. 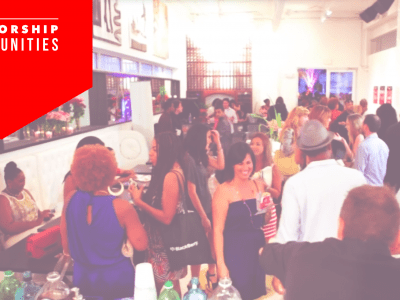 Known as the signature event in Miami for connection #VJMedia Mixology encapsulates the essence of the VJMedia brand while celebrating outstanding media pioneers in the South Florida community and beyond. This years theme ‘Saluting Creators, Innovators and Disruptors’ we aim to elevate the multicultural experience in Miami and pay homage to those who aren’t afraid to GO ROGUE! This years premiere partner Nissan along with five other coveted brands will be on hand, so get ready to engage MIAMI influencers! We’ll also have power brands DELL, Remy Cointreau, Palace Resorts, Barefoot Wine and Bubbly, Palace Resorts and the Loews Miami Beach. For a recap of 2017’s experience, Click here! Thank you in advance for your support of the VJMedia brand and we look forward to celebrating with you this September! Want to be apart of the 2018 experience? Join the growing list of brands by contacting us today: vanessajamesmedia@gmail.com. The new cultural melting pot of Miami, Wynwood will serve as the backdrop of this years event. Click here for the official press release with media details. FOR VIDEOS FROM OUR PAST YEARS, SEE BELOW. (ABOVE) 2014 marked a new season for VJMedia Mixology as patrons and brands indulged in an elevated social experience where the influencer shined bright! Brands utilized the socially charged platform to connect, engaged and make a statement! (ABOVE) 2013 was a memorable experience as we celebrated the launch of the Chevy Urban Style national movement with at VJMedia Mixology. The event was a summer highlight for Miami. "SALUTING CREATORS, INNOVATORS AND DISRUPTORS IN MIAMI". 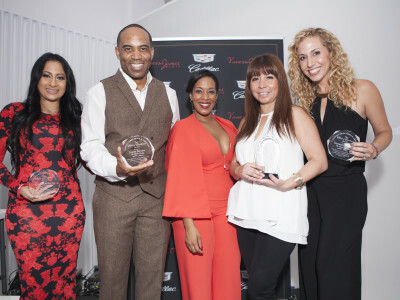 The Spirit of Excellence awards honors five change agents in media! Above is a snapshot of the 2015 honorees. (Pictured). Be among the prestige brands participating in this dynamic experience. VJMedia has several options available that can create an impactful experience for your brand! Contact us: vanessajamesmedia@gmail.com. Digital content partner SteadyImage Multimedia has partnered with VJMedia to elevate the experience at this year’s #VJMM17. Be prepared to “Get Interactive” at this year’s event. For more on SteadyImage, click here!